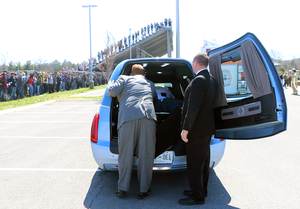 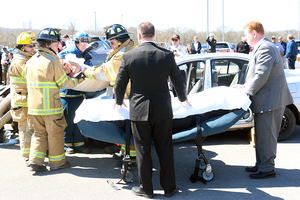 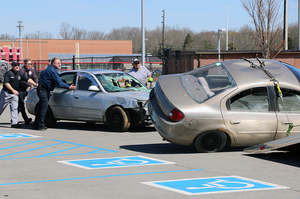 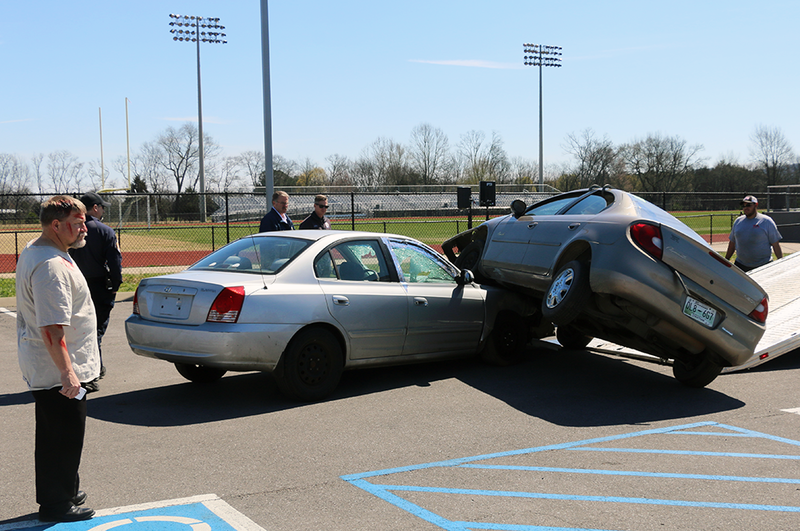 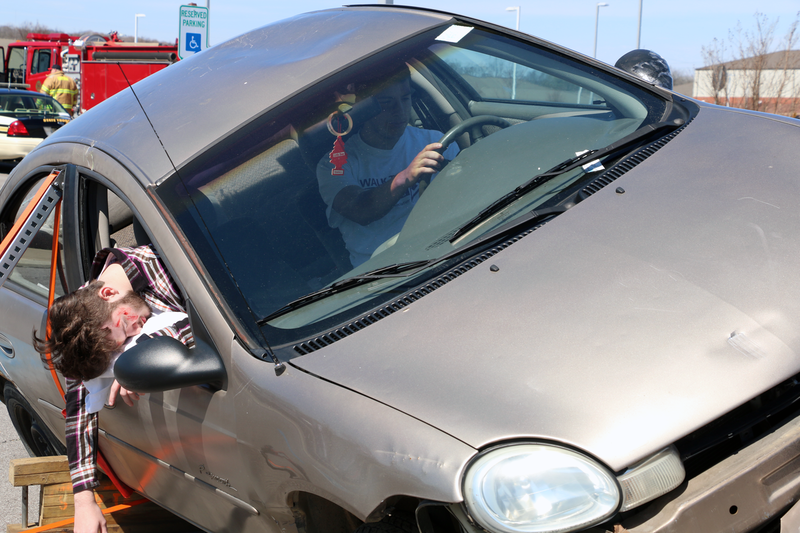 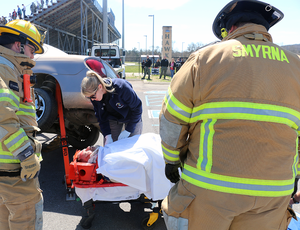 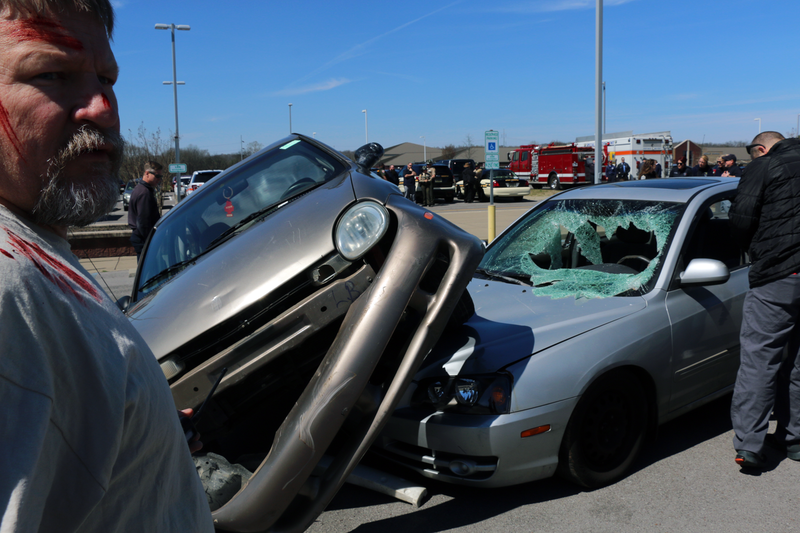 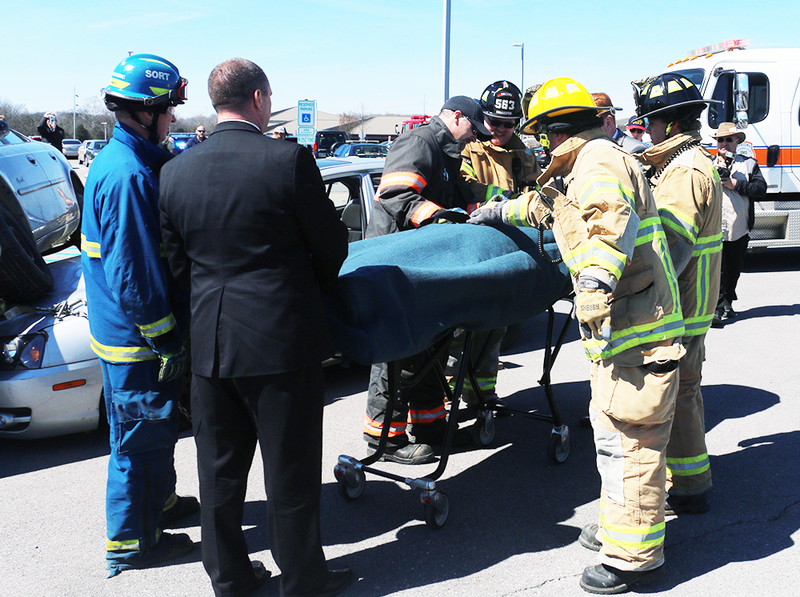 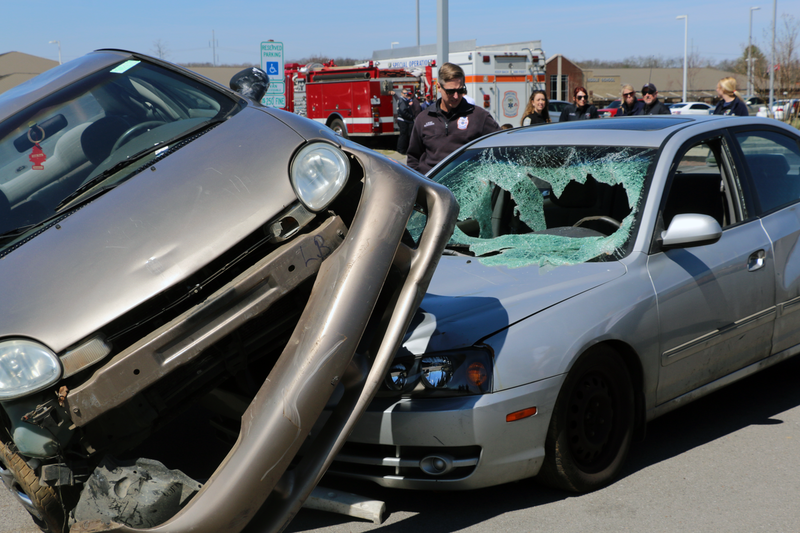 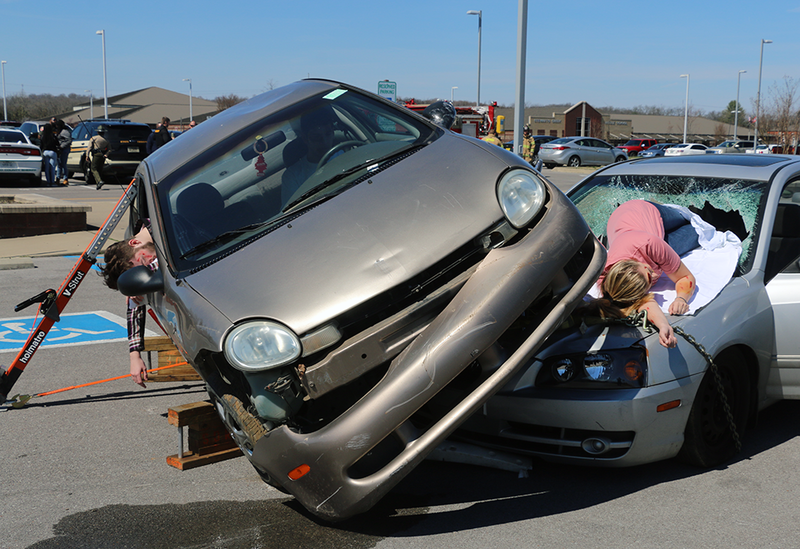 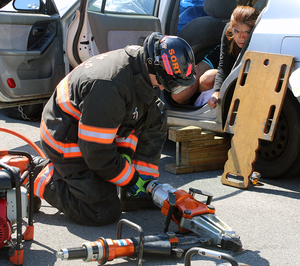 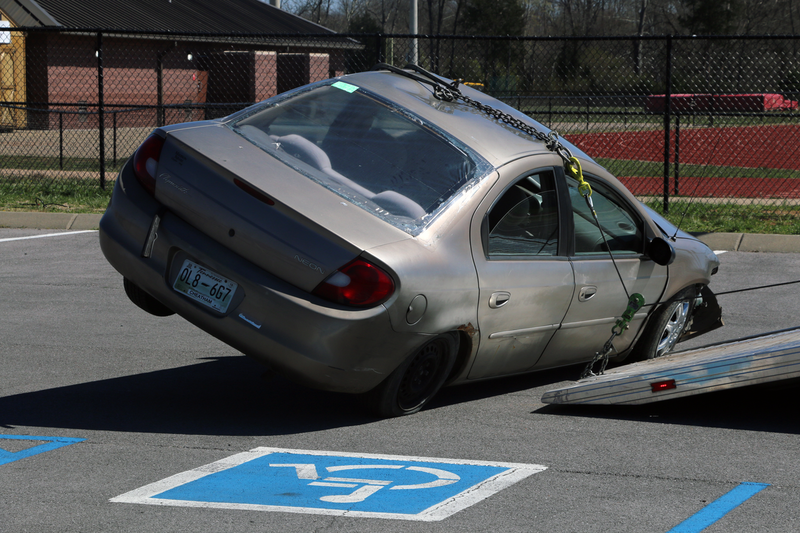 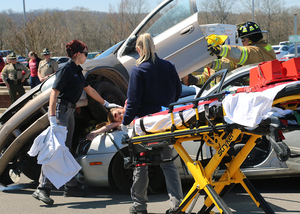 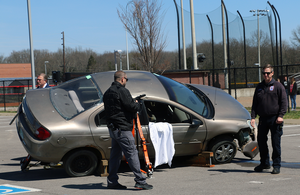 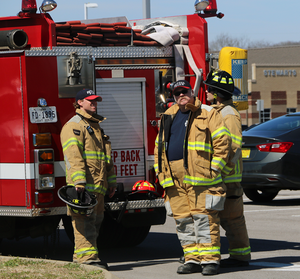 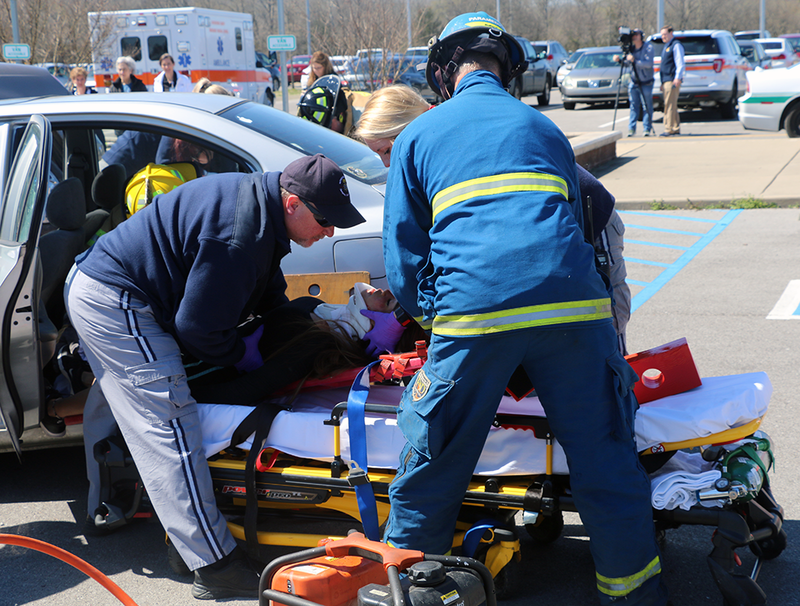 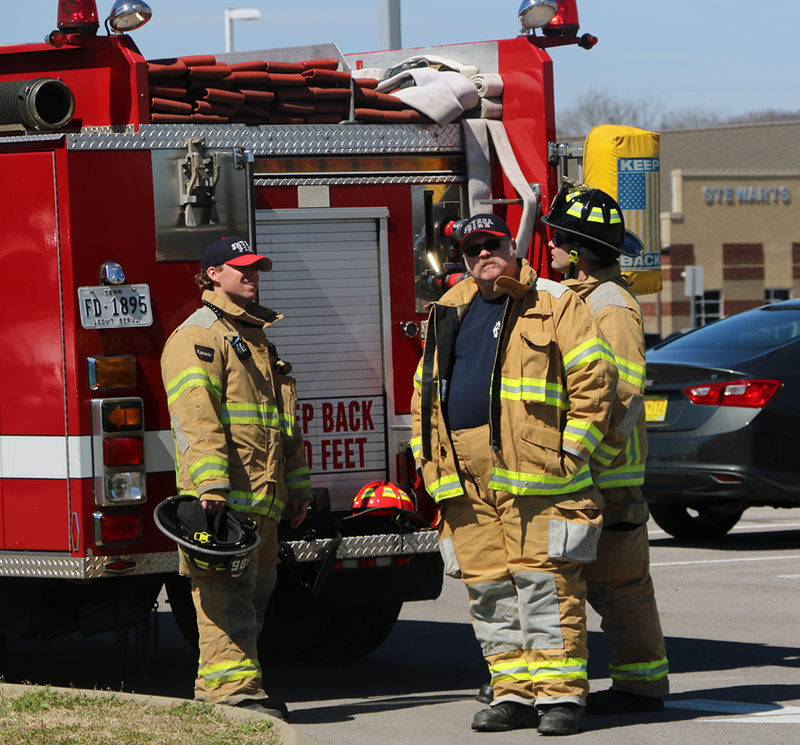 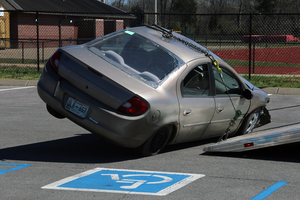 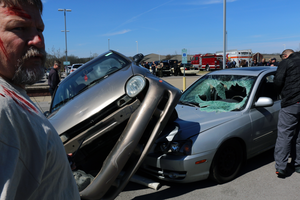 A yearlong campaign to stop distracted driving culminated with a mock crash scene Wednesday afternoon at Stewarts Creek High School. 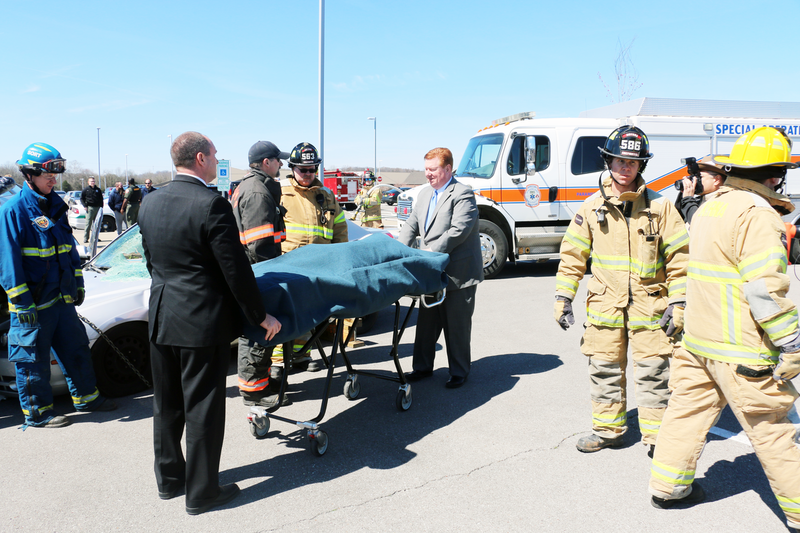 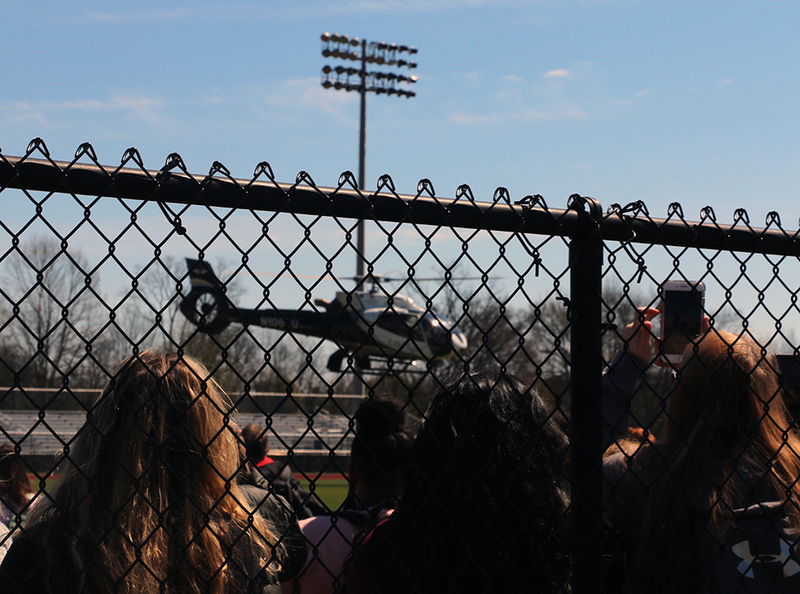 Presented for the entire senior class of 2019, the crash scene was organized by the Health Occupations Students of America at Stewarts Creek with the help of multiple county and city personnel responding to the scene and treating victims, including Vanderbilt LifeFlight. HOSA Vice President and Stewarts Creak senior Hannah Esguerra agreed. 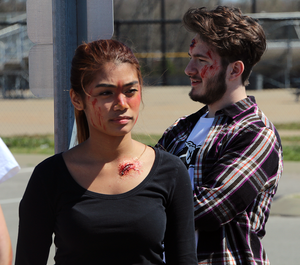 Esguerra experienced the very real consequences of distracted driving. His death broke her heart. And this year’s “Be in the Zone – Turn Off Your Phone” campaign has been close to her heart. 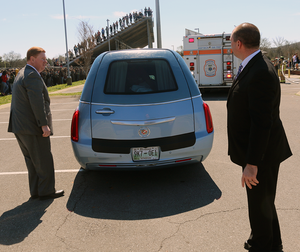 His passing not only inspired her to take an active role with the campaign, but also make personal changes of her own when behind the wheel of an automobile. 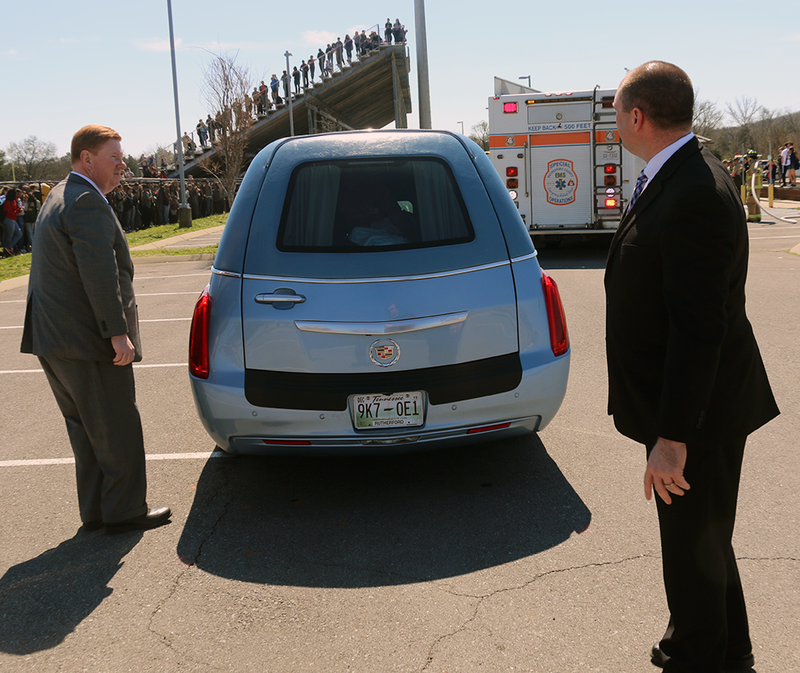 Stewarts Creek partnered with Monroe Carell Jr. Children’s Hospital at Vanderbilt. The campaign was co-sponsored by The Allstate Foundation and Ford Motor Company Fund and Community Services. 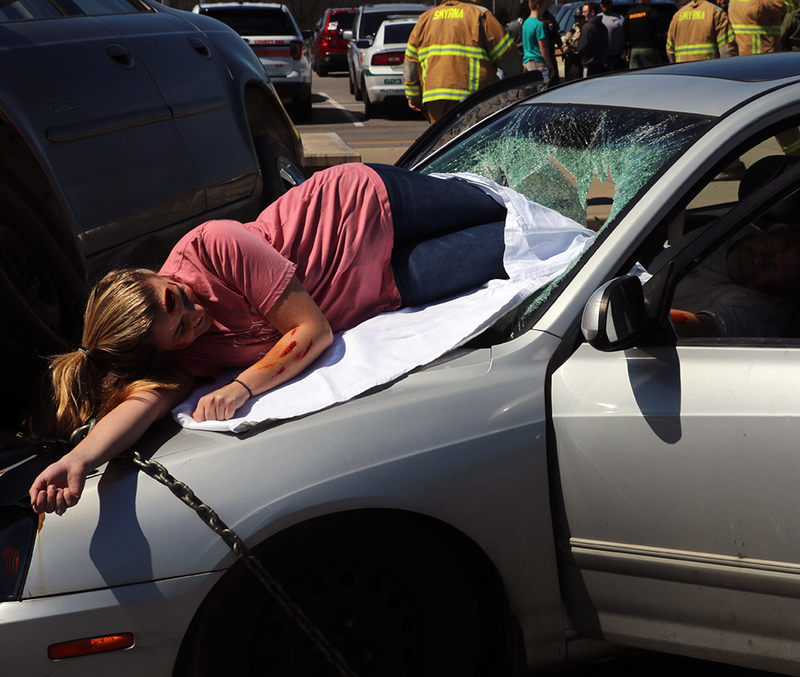 In addition to Esguerra and Carico, other HOSA officers include Kaitlin Jones, Cesar Salinas, Emily Meyer and Lexie Davis, who having been working with their advisor, Kristina Walker, since last summer. 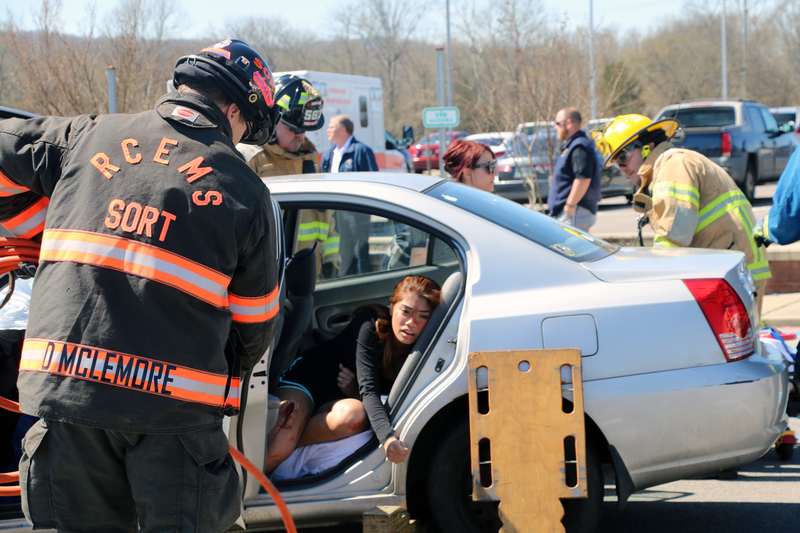 “Everyone was really willing to help us,” Carico said. 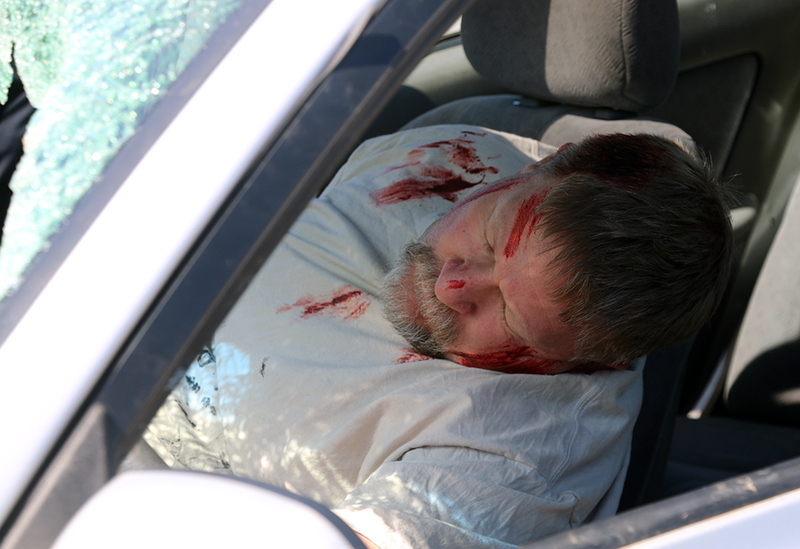 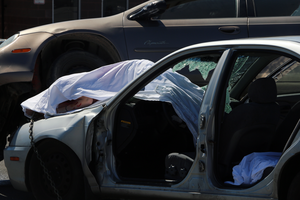 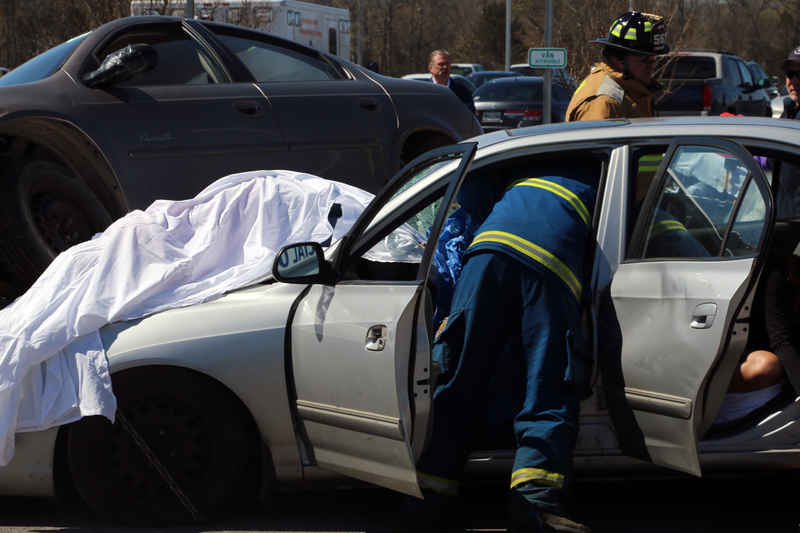 Carico portrayed a deceased driver, who was not wearing a seatbelt and thrown threw a windshield. 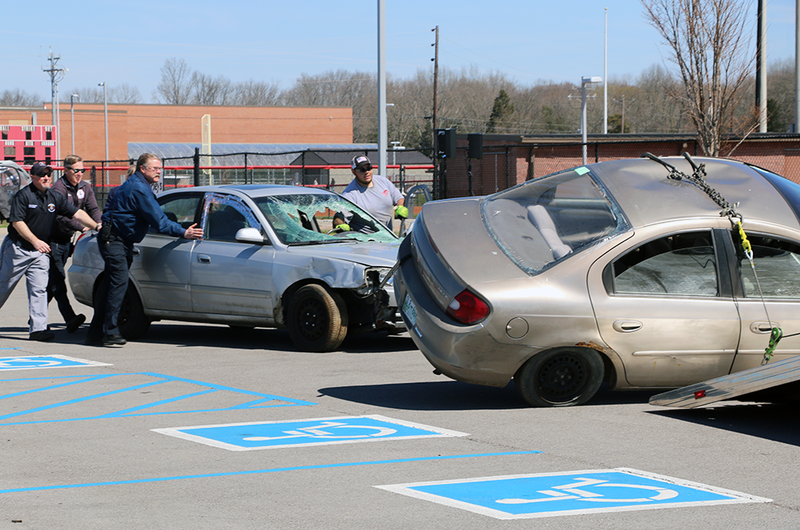 Todd Harris, head football coach at Stewarts Creek, was an injured passenger who needed to be transported from the scene via the LifeFlight helicopter that coincidentally landed on the football field. Esguerra was another injured passenger in the same car. Her character sustained a wound to her neck and a gash on her leg. 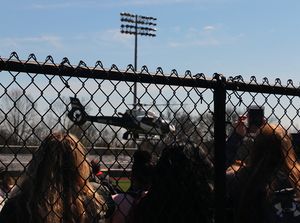 “Since this is right before Spring Break, (there are) a lot of parties and a lot of things, so I want (students) to realize this is an actual (issue) and it can happen to real people,” Esguerra said.